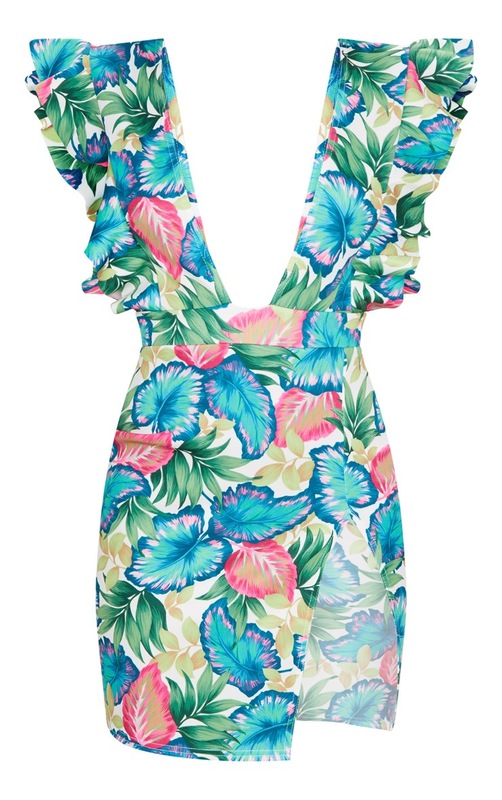 Add a splash of colour to your weekend wardrobe with this bodycon dress. Featuring a green tropical print material with a plunging neckline, a thigh-high split and a frill detail. Style this dress with tie- up heels for an occasion worthy look.